Tap into your inner strength and move with fluidity, power, ease and confidence. We offer more than just Pilates, to suit your interests and goals. With a low client-instructor ratio, you maximize your progress and safety and move better, with more awareness and efficiency. Tailor a class just for your group to suit your programming and scheduling needs! 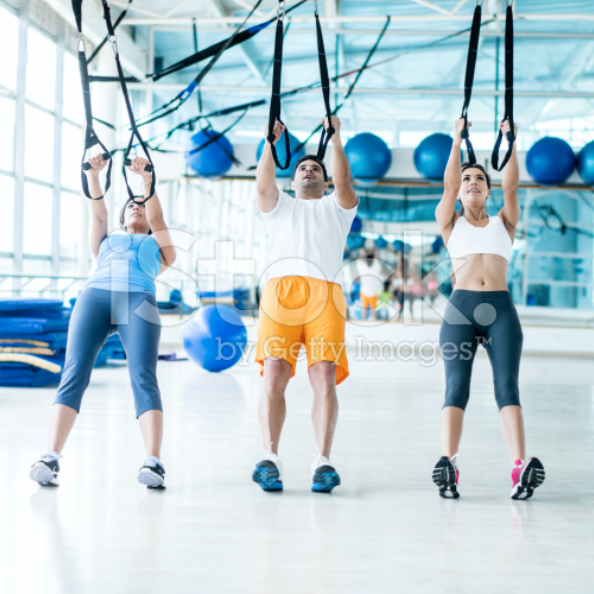 Have a group of friends or colleagues that you enjoy working out with? Tailor a class just for your group to accommodate your programming needs and schedule. This is a particularly good idea if you are a group who are dealing with injuries and chronic pain, or perhaps are considered pre/post natal. We will help you reap the most benefits from your Pilates classes. Amazing core-strengthening work while integrating your whole body! Matwork classes are a great way to learn foundations of the Pilates Method that set you up for success for higher level training. The mat-based workout is designed to help you develop a leaner body, establish core strength and stability, and heighten mind-body awareness while using props to add variety and different levels of challenge. It is amazing core-strengthening work and integrates your whole body with each sequence. Each higher level class will challenge you in different ways building on coordination, stamina and endurance while increasing flexibility. Using Pilates apparatus, challenge your body in new ways! 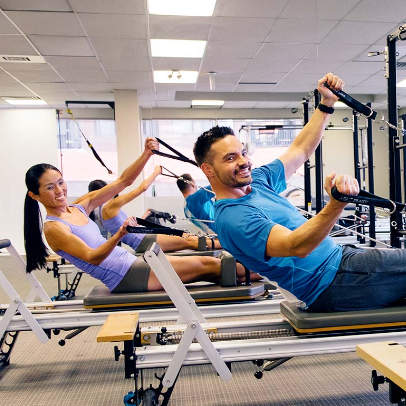 Classes are conducted using the unique high performance Pilates Apparatus and are limited to groups of 3 – 5 for maximum safety and personal progress! With a highly qualified instructor, you will be challenged in a way you didn’t think possible. Using resistance from springs and variable bases of support, your body will become lean, sculpted and flexible without burning out. It’s gentle yet powerful as you work from a deeper part of your body and you can vary the level to your needs. Note: In order to ensure class safety and flow, you are required to have a personalized session to ensure your settings and modifications are appropriate before attending class. A high-energy class that incorporates Pilates, Dance and strength-training. No dance experience required! Come experience music-inspired movements with this Pilates infused Total Barre class! This workout will focus on increasing strength, flexibility, stamina, and dynamic stability all while incorporating the Basic Principles of STOTT PILATES and the warm up routines found in Ballet. This class is geared towards all levels, and NO dance experience is required! An Intense bodyweight training method that develops strength, power and endurance. A fabulous compliment to Pilates! Born in the Navy SEALs, TRX® Suspension Training bodyweight exercise simultaneously develops strength, power, endurance, mobility, durability, balance, flexibility, and core stability. It is a fabulous compliment to Pilates training, and a performance training tool that leverages gravity and the user’s bodyweight to enable exercises that can be instantly scaled for any user to reach any fitness or training goal. Currently managing injury or pain? We specialize in post-rehabilitive exercise using Pilates based principles. The rehab and medical communities are embracing Pilates for many reasons based on the theory that everything is interconnected and must all be addressed when managing or preventing aches, pains and degeneration. Updates, News and Promos sent to your inbox.